Enjoy the top 1 famous quotes, sayings and quotations by Jake Friend. I was on the computer the other day and typed my name into Google. Everything on there was bad. I hope in a few years there might be something there about me playing football. Want to see more pictures of Jake Friend quotes? 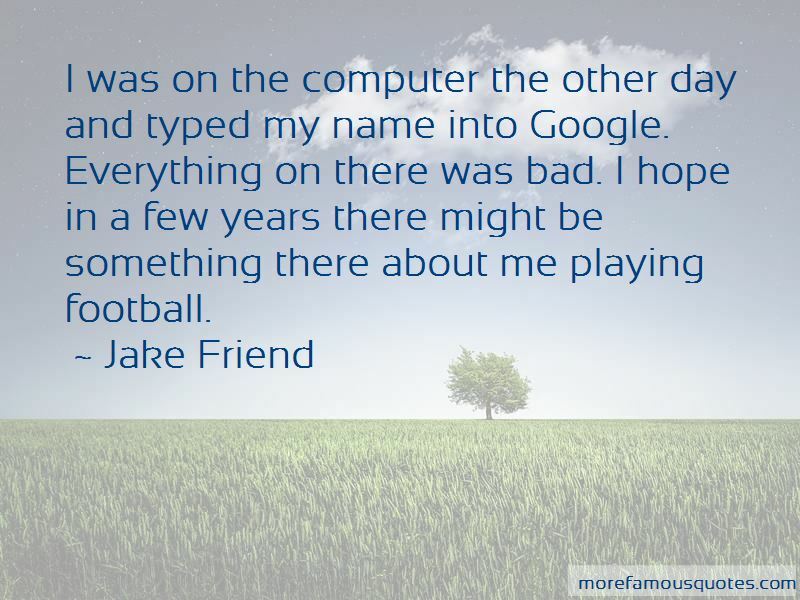 Click on image of Jake Friend quotes to view full size.